The Nutritious U Food Pantry provides fresh and healthy food to students that struggle to get enough to eat. 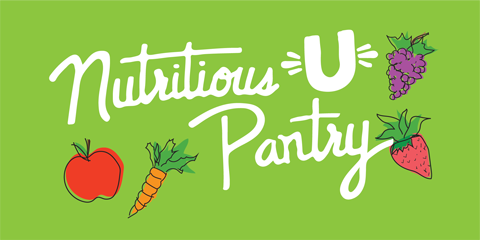 The Nutritious U Food Pantry is located in Coffman Memorial Union, room 210. Any student can visit the food pantry, no proof of need is needed. The Food Group, a local food bank, offers Nutritious U extremely discounted prices for fresh, wholesome food items. Student volunteers stock the pantry shelves with a variety of fresh fruits, vegetables, grains and proteins. Each month about one in four students will experience or worries about experiencing a food shortage. When you support Nutritious U, you help students struggling to get enough to eat get access to fresh, healthy food. Please consider a gift of any amount to the Nutritious U Food Pantry through the University of Minnesota Foundation. Formerly called Food Stamps, SNAP can help you with extra cash to buy groceries. Find local food shelves, dining sites, discounted grocers and more near you. Swipe Out Hunger is a program on campus that provides meal swipes to students in need. Email Rebecca Leighton (leigh142@umn.edu) to learn more.